BrahMos is the first known supersonic missile in service anywhere in the world and can be launched from the ground, air, ship and submarine. 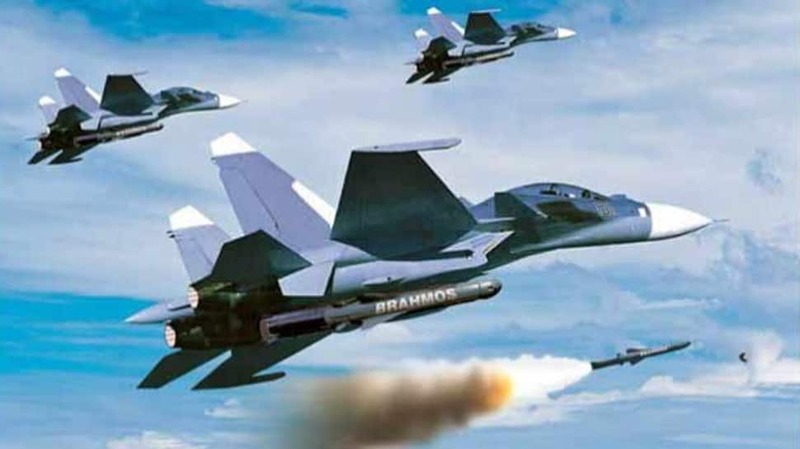 BrahMos, an India-Russia joint venture and deriving its name from the Brahmaputra and Moskva rivers, is one of the most lethal and accurate supersonic cruise missiles in the world today. BrahMos is a short-range, ramjet-powered, single warhead cruise missile with a range of 300-500 kilometres and a speed of Mach 2.0-2.8. 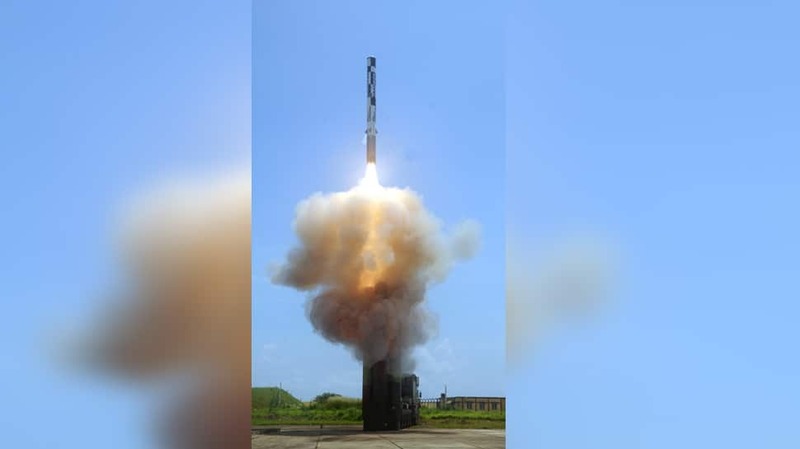 BrahMos, which is the first known supersonic missile in service anywhere in the world, can be launched from the ground, air, ship and submarine which makes it one of the most versatile weapons in the world. 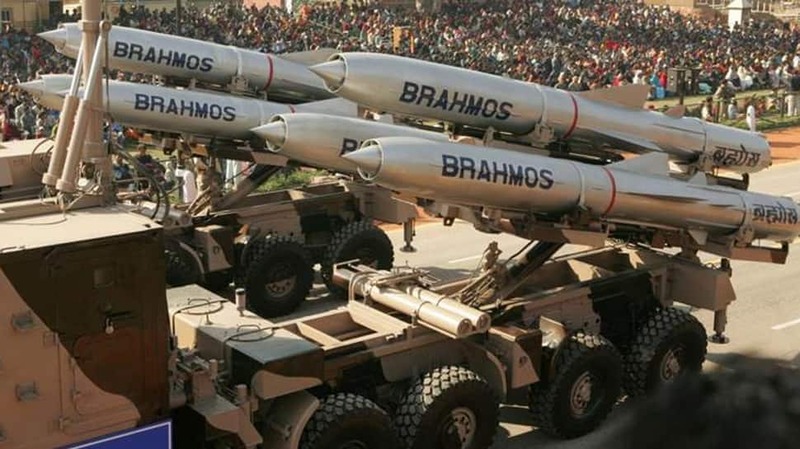 BrahMos Block I missiles have been in service with the Indian Army from 2007. BrahMos Block II version with supersonic steep dive capability to hit targets hidden in mountains and valleys have also entered service. 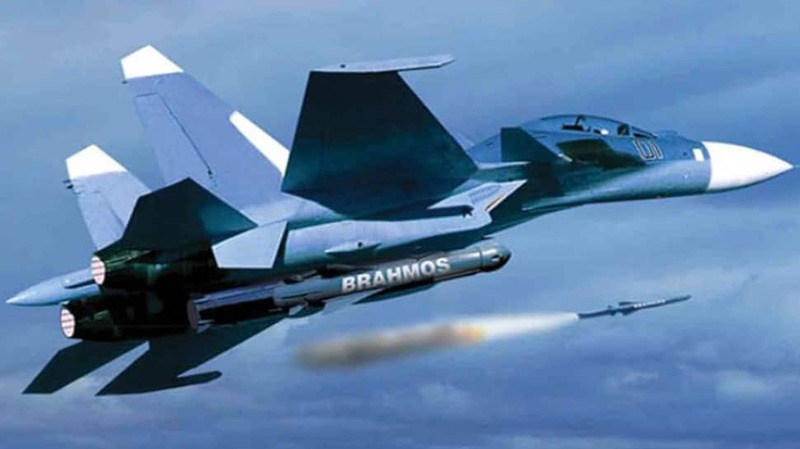 BrahMos is "Fire and Forget" with a cruising altitude of up to 15 km and its terminal altitude can be a low as 10 metres. The missile is 8-8-2 metres long, 0.67 metres wide and has a launch weight of 2,200-3,000 kilogrammes. BrahMos can carry a warhead of 200-300 kg which can be either semi-armor-piercing warhead or submunitions. The missile has two stages with the first stage being powered by a solid propellant boost motor with a liquid-fueled ramjet sustainer motor in the second stage. The missile has a range of 300-500 km depending on the variant and launch platform, while the export version has a range of 290 km. BrahMos also has stealth capabilities which coupled with his supersonic speed makes it virtually impossible for radars to detect it. 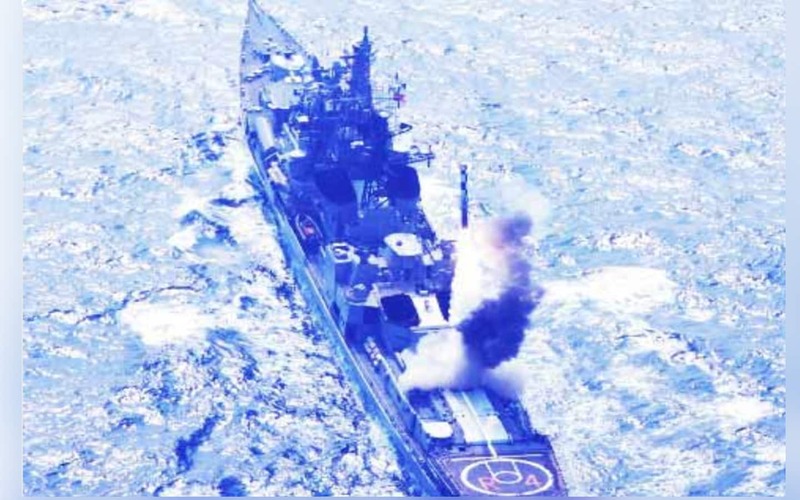 BrahMos uses Inertial Navigation System (INS) for targeting ships while land targets are mapped and hit using INS/Global Positioning System. The ship and ground-launched version of BrahMos is 8.2 m in length, diameter 0.67 m, carries a 300 kg payload, and has a launch weight of 3,000 kg. The air-launched version is 8.0 m in length, diameter 0.67 m, carries a 200 kg payload, and has a launch weight of 2,200 to 2,500 kg. All versions have four clipped tip delta wings at mid-body, with four small delta control fins at the rear. BrahMos three times more velocity, 2.5 to 3 times more flight range, 3 to 4 times more seeker range and 9 times more kinetic energy than any existing state-of-the-art subsonic cruise missile. India and Russia are working on developing a hypersonic variant of Brahmos. which will use a scramjet engine. The hypersonic BrahMos will have a speed of more than Mach 5 and use a special new fuel. 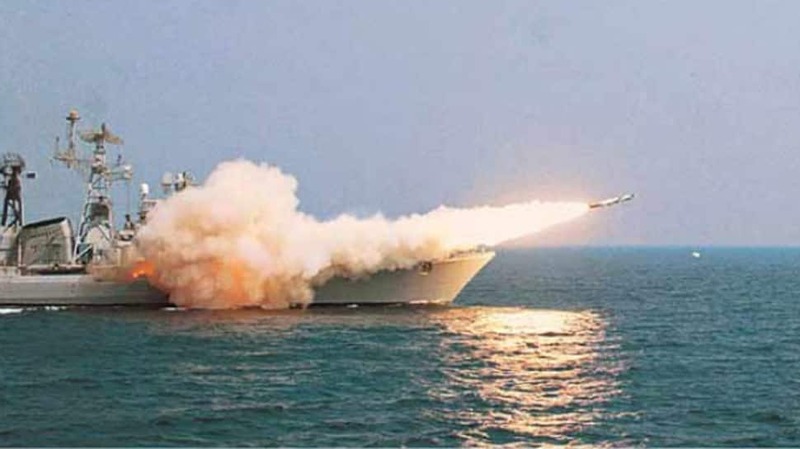 The Indian Navy inducted the first BrahMos missile in 2005 on INS Rajput, which was commissioned on September 30, 1980. 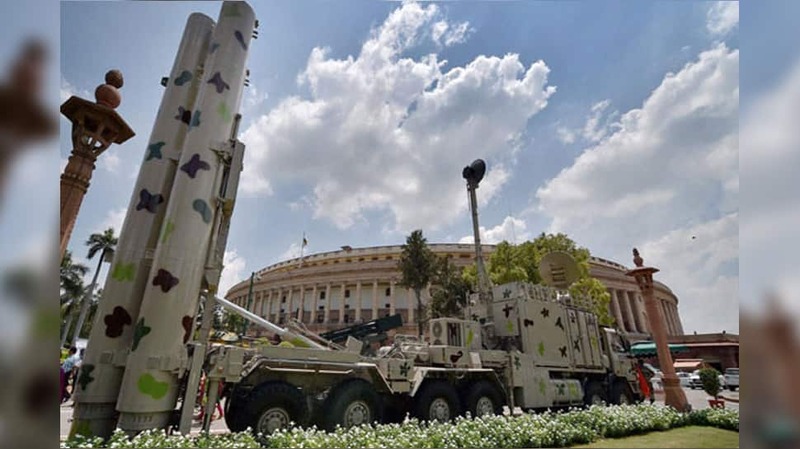 The Indian Army has three regiments of BrahMos while the Indian Air Force is in the process of inducting the supersonic cruise missile after successfully test firing it from a Sukhoi SU 30MKI. The ship-based missiles are in inclined and vertical configuration whereas the land-based weapon complex is in vertical launch configuration from mobile autonomous launcher. The cannisterised missile can be launched vertically from underwater and had been successfully tested from a submerged platform. The air-launched version is slightly lighter than the other versions and additional rear fins have been added for aerodynamic stability during separation from the aircraft. The missiles can be fired in single or salvo of 2 to 3 seconds within four minutes of receiving command. Depending on the input, it can fire towards a single or three different targets. 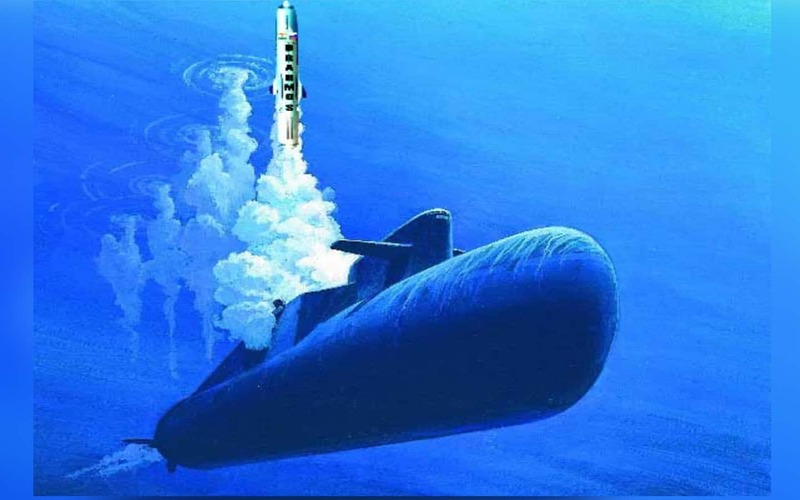 BrahMos can be launched from a submarine from a depth of 40-50 metres. The canisterised missile is launched vertically, the nose cap prevents water from entering the 'air-intake' during the underwater flight. After the missile surfaces, the sensors provide the "out of water command" and the nose cap is fired for turning the missile in the desired direction to hit the target.